Mark Twain wrote, “You can’t depend on your eyes when your imagination is out of focus.” InterPlanetary seeks to restore focus at a planetary scale. What terrestrial challenge could provide greater focus than nourishing and uniting the peoples of the Earth to explore the extrasolar planets? And what great solutions might we find by searching beyond the confines of our earthly troubles? To search through outer space we shall need to rise above our inner spaces, the gravest challenges of our time — from reducing disease and economic inequality, to managing finite resources and surviving war — and to take all necessary steps towards a larger, shared goal: an understanding of life’s place in the universe. Because confronting the challenges of space requires braving and solving the complexities of life. The InterPlanetary Project is equal parts ideas festival, open-source citizen science platform, and research program. The first project of its kind to combine celebration with experimentation, and conversation with analysis, InterPlanetary seeks nothing less than a whole-planet project — beyond borders, beyond politics, beyond economics — to activate the collective intelligence of this, our first planet. The annual InterPlanetary Festival is part of our larger Interplanetary Project, which seeks to engage with pressing problems of today by imagining the challenges of tomorrow. 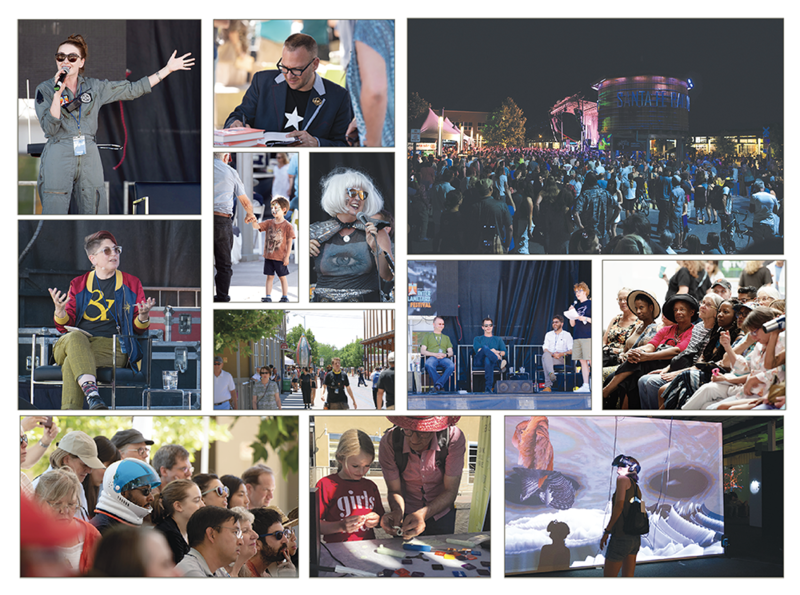 The first Interplanetary Festival in June 2018 attracted thousands of space enthusiasts to downtown Santa Fe. The 2019 event is going to be bigger and better, with leading thinkers, creatives, and scientists reimagining our future as a species. In between live concerts and panel discussions, enjoy interactive expo booths, food, drink, and art installations that will refocus your imagination. -If you or your organization would like to be involved in the 2019 InterPlanetary Festival, please contact Caitlin McShea at cmcshea@santafe.edu for more information. -The October InterPlanetary Series explored the universe through film, art, creativity, and discussion in a series of special events in downtown Santa Fe. (October 13-17, 2017). The InterPlanetary Project is part of The Miller Omega Program at the Santa Fe Institute. "Ready for liftoff: SFI hosts first annual InterPlanetary Festival"